Almost all of the world’s top online poker sites offer players real money gaming facilities, but not all are created equal, and if you’re looking to play online poker for real money, it’s important you take the time to know what to look for, when choosing a site. In this post, we’re going to look at the basics of playing poker online for real money, including things to look out for when picking a site, along with a brief explanation of the different types of poker games you’ll find online. We’re going to take a step back to begin with though, as we look at what poker actually is, and how to play. Poker is a card game that you play against other players. Unlike casino games, like Roulette or Blackjack, when you play poker you’re trying to win other players’ money – not the casinos – and this adds an interesting, and exciting precedent to the game. Easily the most popular poker game in the world, Texas Hold’em is played by millions of players every day, and you are dealt two cards, with the goal of making the best five-card hand possible. There are five community cards dealt, which are available to you and all other players, and rounds of betting ensure constant action and excitement. Omaha is a less-common, yet still popular type of poker, and it actually plays-out similarly to Texas Hold ‘Em, with the main difference being that you get 4 cards to begin with, instead of 2. This makes the game a lot more action-packed, and ensures bigger pots, and bigger wins! You may find multiple variations of each game – and a good example of this is the betting limits, which can vary between games. For example, Omaha is usually pot-limit, which means you can only bet the amount currently in the pot. Less-common forms also include fixed-limit (where you can only bet pre-specified amounts), although as a new player, you generally won’t need to worry about this as you’ll probably want to be playing no-limit Texas Hold ‘Em. Note: Don’t feel pressured to play a game you’re not familiar with. It can seem tempting to try something new, but if you’re playing with real money, do so and you risk suffering losses. Cash Games: A cash game is where you sit at the poker table with cash money. Any hands you decide to play are played out with real money, so unlike tournaments (detailed below), you’re able to win and lose actual money. Cash games are the preferred game for the more experienced player, as there’s no rushing, as is the case with both of the below examples. 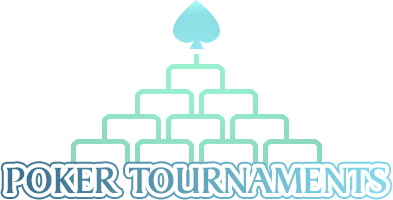 Tournaments: Made famous in part thanks to the WSOP (World Series of Poker), tournaments are a type of poker format where you pay a set fee before you begin playing. It’s not then possible for you to lose more than this fee, and instead of playing with cash, like in a cash game, you play with tournament chips. 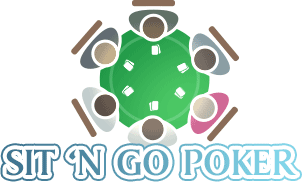 Sit ‘n Go’s: Sit ‘n go’s are similar to tournaments, but the format of the game differs significantly. First off, while tournaments may have hundreds or even thousands of players, sit ‘n go’s typically have between 6 and 21 players, and the speed of play is much faster. Ideal for those who only have time for a quick game, or who want quick profits, the intense makeup of sit ‘n go’s appeals to the more-aggressive poker player. Poker is a game that takes a second to learn, and a lifetime to master as Doyle Brunson once said, and he’s not wrong. It’s easy enough to get the fundamentals nailed but becoming a better poker player is something that comes with practice. Still, we’re going to cover some of the basics of actually playing, below, so that you can begin playing online poker real money games right away! As mentioned, all players are dealt two cards by the dealer, and once these cards have been dealt, an initial round of betting begins. If you feel you have a strong hand (like a pocket pair, or two suited picture cards), you can make a bet, to increase the amount of money in the pot. If other players want to continue the hand, they have to call your bet, or fold. They can also raise you. Once the first round of betting has taken place, three cards are dealt, known as the flop. These cards are known as community cards, as all players can use them to make their best 5-card hand possible, and once the flop is dealt, yet another round of betting takes place. Once complete, a fourth community card is dealt – this time, called the turn – and again, a round of betting takes place. Finally, there’s a fifth community card dealt, known as the river, and once done, there is a final, round of betting. Any players left in the end then turn over their hand, and the player with the best hand scoops the pot. A great way to try out poker without risking any of your own money, is play money poker. Play money poker is essentially a free-mode, where you play against real players… but with ‘play’ money. We highly advise you to take advantage of this when you first start out as it allows you to familiarise yourself and learn the basics before playing for real money. If you want to play online poker for real money, you’re probably wondering how you go about finding a suitable site. There’s no one-size-fits-all answer to this, but there are some things you should take into account, in order to make your playing experience as hassle-free and enjoyable as possible. First, you’ll want to make sure that the range of poker games on offer is what you want. There’s no point joining a site if they predominantly offer Omaha games – when you want to play Texas Hold ‘Em. Similarly, if a site is tournament-focused, yet you want to play cash games, then you have to ask yourself if the site’s really the right one for you or not. One of the best ways to find a reputable, safe, and secure online poker site, is to use our in-depth review guides as a reference. While this guide serves more as an introduction to playing real money poker online than a tutorial on how to play the game, we thought it fitting to include a few pointers to help you improve your game and begin increasing your profitability. One of the biggest mistakes new players make is failing to manage their bankroll – and if you do this, you run the risk of busting out, and not being able to buy back into events. As a general rule of thumb, most professionals agree you should never stake more than 5% of your bankroll on any given tournament, cash game, or sit ‘n go – and while it may seem silly when you’re starting out, and playing low stakes, building good discipline now, will save you a lot of hassle down the line. Perhaps the most important thing though, is to realize that it’s OK to have your own style. Don’t worry too much about following other players. If you like to be aggressive and take control of hands – then find a way to make it work for you. If you prefer to sit back, and play a more passive game, then that’s fine also. Far too many new players watch a few tournaments on TV and try to mimic the pros – and this just won’t work at lower-levels of the game. Take your time, and ‘feel the game’, to figure out which playing-style is best for you. If you find yourself reading this post, and are unfamiliar with any of the terms used, or if you have heard other players mentioning poker language you’re not aware of, make sure you check out the poker glossary below, as we’ll explain some of the most common phrases you’ll hear at the table. “All In” – When a player declares he or she is all in, they are risking their entire chip stack on their hand, and they’ll win the pot unless another player calls their all in. Small and Big Blinds – Small and big blinds are mandatory bets in most poker games, to help stimulate the action. The two players on the left of the dealer are required to place a small number of chips into the pot before the hand starts. Texas Hold ‘Em – The most popular form of poker in the world, Texas Hold ‘Em is the game played at almost every casino on the planet – and it’s the variation you’re most likely to play. Omaha – Omaha is similar to Texas Hold ‘Em, but players are dealt four cards pre-flop, instead of two. Pre-Flop – Pre-flop simply refers to the time-period before the first three community cards are dealt. Fish – A fish is a nickname for a player who doesn’t really know what they’re doing. Post-Flop – Post-flop refers to the time-period after the first three community cards (the flop) are dealt. No-Limit – No-limit poker means there’s no cap on the amount you can bet at any given time. Pot-Limit – Pot-limit poker is more prevalent in Omaha games, and it restricts players to betting only what’s already in the pot, to avoid the game getting too loose. I’ve never played poker before – where should I start? The best way is just to begin playing. If you don’t want to play with real money right away, give play money poker a try, as this will allow you to play against other players, without risking your own cash. Can I play poker from my mobile phones, smart tablet devices, and phablets? Almost all online poker sites now offer mobile facilities to poker players. All of our recommended poker sites most certainly offer this feature as we believe mobile gaming is a must for any top-notch poker room. If I win, how do I withdraw my funds? 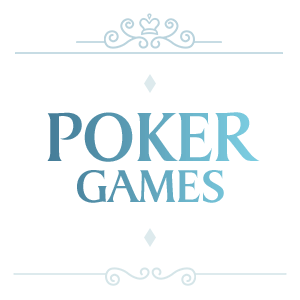 All the poker sites featured on our website offer fast, efficient, and hassle-free withdrawals. You can choose to withdraw your winnings to your bank, to a Bitcoin wallet, or various EWallets. No, you can take as long as you want before playing poker with your own money. As we mentioned earlier in the post, if you want to start getting a feel of how poker works and play against other players without risking your own funds, you can play “play money poker”, which simply uses virtual cash, rather than real money. Online poker for real money has continued to grow and thousands of players hit the online felt every day. We break down types of real money poker games online.